Karl Heinz Mutschler was born in Germany in 1954. He is happily married and has one daughter. Karl Heinz studied Engineering and Computer Sciences at the advanced technical college in Furtwangen, Germany. He successfully worked as a software engineer, designing and programming and implementing solutions for logistical processes and the management of high rack storage areas. In 1994 Karl Heinz became the Managing Director of a company with 200 employees. In 1999 he became a managing partner of that same company. Together with his partner Heinz managed the company successfully for 8 years. He mainly focused on Sales & Marketing, IT, logistics and the quality management. In 2007 Karl Heinz decided to change his career path and left the company. 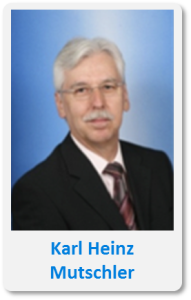 By mid 2007 Karl Heinz became exposed to the holistic improvement philosophy of the Theory of Constraints (TOC). He realized that TOC is an excellent tool to help companies to improve both their competitiveness and their profitability significantly in a relative short period of time. In 2008 Karl Heinz founded his new companyTOCSüdWest and joined the GIGAN network. 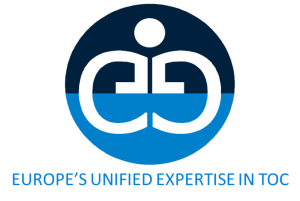 In 2010 Karl Heinz became partner of the Goldratt Implementation Group Europe.